Tópico em 'América' iniciado por Gerofil 27 Jun 2007 às 00:41. Oito tornados castigaram neste fim de semana as planícies do centro do Canadá, revirando veículos e destruindo vários imóveis, disseram as autoridades, destacando que não há registro de feridos em estado grave. "Tivemos pelo menos oito tornados nos últimos dois dias na província do Manitoba (centro), e esse é apenas o início da temporada de tempo ruim. Espero uma temporada muito agitada", disse à AFP o meteorologista Dan Kulak, do "Environment Canada". Um dos tornados, com ventos de 417 km/h, devastou uma área de 300 metros de largura e 5,5 km de extensão na cidade de Elie, ao sul de Winnipeg, no Manitoba. "Eu vi uma grande nuvem violeta com uma ponta para baixo. Ela rapidamente ficou muito maior, e o céu inteiro girava em cima do nosso carro", contou Lori Cayer, em entrevista ao canal público CBC. Segundo o órgão do governo "Environment Canada", Manitoba registrou cerca de 15 tornados e 62 tempestades de granizo no último ano, em comparação à média anual, estabelecida entre 1984 e 2006, de 9 e 25, respectivamente. Qto a 62 tempestades de granizo e 15 tornados, já quase parecia o corredor de tornados dos EUA.. Environment Canada is investigating reports that several more tornados have wreaked havoc in Manitoba, while the town of Elie recovers from an earlier twister. Dan Kulak, a spokesperson from Environment Canada, told CTV Newsnet that at least four, possibly five, tornadoes touched down in southwestern Manitoba. Tornadoes were reported Saturday evening near Pipestone, Minto, the Canupawakpa First Nation and an area between Hartney and Delorain. Bev Flannery and her husband, who own a farm in Pipestone, received a call from their neighbour urging them to hurry home. When they arrived, they saw more than 40 years of work destroyed -- the twister had demolished their barn. "Why couldn't it have gone out to the pasture or somewhere?" Flannery told CTV Winnipeg. "You just wonder, why us?" But the couple were thankful their home, just a stone's throw away from the barn, was left intact. Kulak said two of the tornados whipped through one area at the same time. "A couple were very close together, almost simultaneous near a First Nations' community in southwestern Manitoba. There were another series of tornados forming in the southwestern part or the province," Kulak said on Sunday from Edmonton. "It's been another wild night on the Prairies!" Witnesses said one of the twisters was the width of a football field with winds of up to 400 kilometres per hour. There were no deaths or injuries but the Dakota-Ojibwa police service lost its roof and the fire station and some homes on the Canupawakpa First Nation are damaged. The same system also prompted weather warnings throughout Saskatchewan. "Right now, as far as damage actually goes, they were no where as bad as what happened in Elie, but certainly an outbreak of five tornadoes is a very significant weather event," Kulak said. A tornado that obliterated at least four homes in Elie, Man., on Friday has been classified as an F4 -- one of the most violent twisters possible. In addition to the destroyed homes in Elie a few trucks were tossed into fields and powerful winds caused a transport truck to roll over into a ditch on the Trans Canada Highway. Rescuers used search dogs to look for victims, but everyone was accounted for and there were no reports of injuries, according to reports. Manitoba Premier Gary Doer toured the town on Saturday and promised financial support. Kulak explained there are three weather conditions required to prompt the development of a tornado. A weather condition known as "instability" which causes the warm air to rise and the cool air to sink. Kulak said late June and July is peak tornado season in Canada. "Typically storms will move from the West to the East and it's a good time to keep an eye on the sky and know what you're going to do if a tornado threatens and heads to your area." 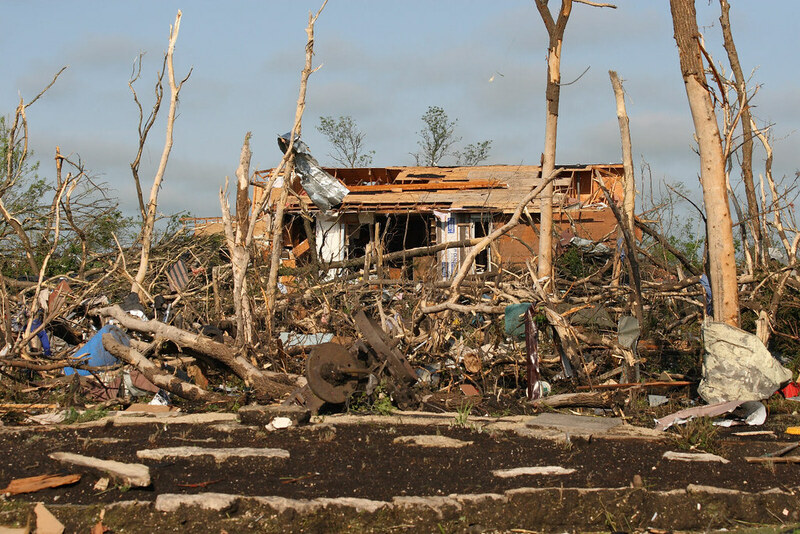 A deadly tornado with F 4 strength touched down in Elie, Manitoba on Friday causing the destruction of several homes. Luckily only one person was injured as these tornadoes can be deadly. Manitoba has made CNN news with the bad weather and higher then normal frequency of tornadoes this weekend.